Why Did My Car AC Suddenly Stop Working? What is Wrong with My AC? We are fast approaching the summer months, which means we are going to be using our car’s AC every day. Being in a situation where you don’t have air conditioning in your car sounds awful, but it happens more often than people realize. If your car’s air conditioner suddenly stops working, it can be incredibly inconvenient. 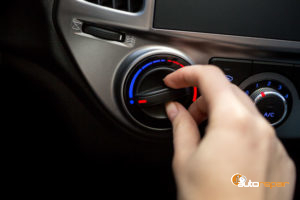 Some of the most common auto ac repair questions that are asked are why the car’s air conditioner stops blowing air, why it stops blowing cold air, or why the AC is blowing hot air. In order to understand more about why your car’s air conditioner stops working, its important to identify the most frequent issues and why they happen. Knowing about these problems will prompt more people to take their cars in for auto AC repair. Below are some of the issues that plague car air conditioners the most. It can be incredibly frustrating when you turn on your car on a hot day only to find that air isn’t blowing through the vents. There are a couple of reasons why your air conditioner might not be blowing any air when you turn on your car. Damaged Relay: In order for the AC’s ventilation system to work, it needs small and large electrical current. The relay is the small current powers the larger current, so when the relay is damaged, the ventilation system isn’t able to work. Defective Resistor: Our air conditioner uses blower motors to move air through the vents. In order for the blower motor to work, it needs a resistor to control how fast or slow the air goes through the vents. When this is broken, air won’t be able to flow through. Broken Blower Motor: Since the blower motor pushes air through the vents, it is an important component to the air conditioner. When it doesn’t work properly, the air won’t be able to go through the vents. Air Intake Clog: There are two types of air intakes, fresh and recirculated. Each of these can become clogged, which causes the ventilation system not to work well. If your car’s AC isn’t blowing any air, you will need to get auto AC repair, with repairs needed for certain parts. Get in touch with a mechanic for auto ac repair parts. The clutch for the compressor is not working. The air conditioner is not blowing cool air. There are loud noises coming from the air conditioner. There is fluid leaking from your car. When your car’s AC compressor isn’t working, your air conditioner isn’t going to function the way that it’s supposed to. To ensure your AC compressor is performing normally, it’s important to get auto AC repair to remedy the issue. An auto ac repair shop will be able to locate the problem and provide your car’s AC with the necessary repairs. Why is my car air conditioner not blowing cold air? That is the most common question that people will ask in regards to their car’s air conditioner not working. When your air conditioning system isn’t blowing cool air, that is the first sign that you need auto AC repair. There are a couple of reasons why your AC isn’t blowing cool air and instead is blowing warm air. The first reason why your AC isn’t blowing cool air is because it needs a freon recharge. When there isn’t enough freon, the air conditioner’s clucth won’t come on, which will also affect the compressor from cycling. Another reason why your air conditioner is only blowing warm air is because the condenser is broken. The air conditioner condenser converts gas into a liquid, so if its broken or clogged, then your air conditioner won’t blow cool air. Your air conditioner might also have issues if the system has some sort of blockage. When there is a blockage in the air conditioning system, it won’t be able to blow cool air out. Whatever the reason for your car not blowing cool air, it’s important to get auto AC repair to correct the problem. If you are looking for auto AC repair in Lombard and Wheaton, IL, you can depend on J1 Auto Repair to help you. Auto repair is so important, so whenever your car’s air conditioner isn’t working, contact our auto mechanic shop for repairs. We can go over auto AC repair cost, as well as our process. Dial 630-932-4427 in order to make an appointment today. Posted in Uncategorized on April 19, 2019 by J1 Auto Repair. Call us for all of your brake system service needs. Most people recognize some of the symptoms that they need to take their car to the auto shop for inspection or repairs. The check engine light is one of the best indicators that your vehicle could need some repairs. These days the car’s computer is connected to every small component and system in your vehicle. Even a loose gas cap can set off the check engine light. Keeping your eye on your dash can keep you from getting in a serious accident. You can figure out other issues with your car by driving it. If your vehicle is pulling to one side, your cars alignment could need readjusting. Your brakes stop you when you hit the brake pedal, meaning they do one of the most important jobs in your car. Working brakes keep your sudden stop in traffic from turning in to a multiple car pileup. So if suspect you are having problems, you should get them checked immediately. But how do you tell if your brakes are going bad? Brakes are just like every other system in your vehicle. Your brakes are built to last. Eventually they’ll require maintenance and repairs to keep working properly. There are several signs to look for if you suspect that your brakes need maintenance. Brake Light Warning Yes, this is a given. There is a problem with your brake system that requires your immediate attention. Many people tend to ignore the check engine light until it becomes a serious problem since it is connected to most of the small components in your car and could be a loose gas cap. We do not recommend ignoring the check engine light, and we don’t recommend ignoring the brake light warning. If something is wrong with your brakes, it can cause an incident on the road that injures people. Grinding or Screeching It’s time to get a brakes check if you hear the sound of metal grinding on metal while braking. This means your brake pads are wearing thin, or have worn down completely. This will damage your brake rotors to where they need repairing or replacement. Reduced Responsiveness You stop your car all the time. You’re constantly braking for red lights and stop signs. How your vehicle drives is one of the key indicators that something is wrong with it. If your car takes long and longer to pull to a complete stop, it’s time to take it to the shop for an inspection. Your brake system might be leaking air or brake fluid. This is almost always a clear sign that you require brake repair service. Smell Friction can cause a burning smell from your brakes. If you’re using the brakes constantly while traveling down a large incline, this is not a problem. A burning smell during normal car operations is never normal and should be investigated by professionals immediately. Uneven Braking Grinding or screeching noises mean your brake pads are wearing down. Uneven braking could be a side effect of a worn down brake pad causing a warped brake rotor. If you pull to one side while braking, your brake rotors could be damaged on one side of your vehicle. Vibrations Brake pedals should not vibrate when you press them. Multiple things cause a brake pedal to vibrate. The resin in your brake pads might be unevenly spreading on your brake rotors. Your brake rotors could be warped. Either way it’s time to get your brakes checked by a professional. Your brake system is made up of several different working parts. Many modern vehicles have drum brakes because of their efficient design. These brake systems contain a caliper, a rotor, a piston, and brake pads. The brake pads are mounted on the caliper and the piston and press the rotor. These pads convert the kinetic energy in your vehicle to heat. This is the basic concept of how your brakes work. Your primary concern is the brake pads. Worn brake pads can cause your brakes to wear down faster by letting the metal in your caliper and piston grind into the rotor to make it stop. If you find yourself asking “Do I need new brakes?” the real question maybe be whether or not you need new brake pads. Is it Hard to Replace Brake Pads? This depends on what tools you have. You have to raise your car and remove the wheel to access the brakes. Next you have to remove the brake caliper. Now you can change the brake pads. Make sure the caliper doesn’t dangle from the brake lines as this can cause damage. But what causes brake pads to wear quickly? Time wears down all brake pads. Damaged components in your brake system will speed up this process. Your master cylinder can cause problems for your brakes and brake pads. Corrosion on your calipers or pistons can create problems as well. Damaged seals in the piston can keep it from returning to its rest position. Contact a mechanic or auto garage if you suspect your brake pads are wearing out too quickly. How Long Should Front Brakes Last? We can perform all of the necessary brake system services. Every vehicle is different. Most drivers drive their vehicles in completely different ways. As a result, it is difficult to know exactly how long your brakes will be good for. The general rule of thumb is that you should replace your brake pads when they get worn down to 25% of their original size. This can be anywhere between 25,000 miles to 50,000 miles. Some peoples brake systems last without new brake pads for almost 70,000 to 80,000 miles. This is a rarity, however, and you should at least check your brakes every so often for signs of damage to the brake rotor. Brake pads aren’t very expensive and you need to change them, on average, once every 50,000 miles. If you’d prefer to save the cost of these brake pad changes, you can always get brakes with lifetime warranty. Once your brake pads wear out, you can take them to where you got your warranty and trade them out for new ones. This is a good option for people who drive a lot, or who want the knowledge that they won’t have to worry much about the brake pads themselves. You should always hire a professional to service your brake system. By paying attention to the warning signs that you have a problem, you’ll know when you need to take your vehicle in for maintenance. You could also just take your vehicle in for a brake system inspection if you’re concerned but not positive that you have a problem. You can also always lump in your service with other services and inspections, as most mechanics are willing to inspect your brakes and more. Keeping your brakes working will keep you out of potential accidents. Just like if you broke down in Mission Viejo, CA, you would probably end up at this CA auto shop, you should find an auto shop that can service your brake needs. If you need brake system service in Lombard and Wheaton, IL, contact the mechanic experts of J1 Auto Repair at 630-932-4427 today! Posted in Uncategorized on February 18, 2019 by J1 Auto Repair. If your car is constantly overheating, you may not need overheating engine service, but engine head gasket service. 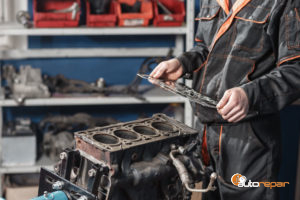 The head gasket is what is a cap that helps control pressure levels in the engine and separates the oil and coolant, preventing them from mixing and causing engine failure. You may be wondering, does a blown head gasket ruin an engine? In some severe cases, yes, but most of the time it will cause a lot of engine malfunctions, breakdowns, and loss of power. That is why it is important to get your blown head gasket repaired or replaced as soon as possible. If you have a blown head gasket in Lombard and Wheaton, IL and need head gasket repair, call J1 Auto Repair at 630-932-4427 today. We are experts at blown head gasket replacement. Found between the engine block and cylinder head, the primary function of a head gasket is to control pressure levels in the combustion chamber. Basically, it keeps the compressed air, fuel, and oil inside the cylinder head ready to go and easy to be ignited so your car can start. If you have a blown head gasket, you will then experience engine failure as there is no compressed fuel being lighted to power your engine. What usually causes a blown head gasket is when the coolant liquids and oils end up getting into each other’s chambers, causing the car to lose fluids and not function properly. This happens because the combustion cap or the head gasket could have come completely off. If not fixed, a blown head gasket can lead to extreme car troubles. If you are wondering, can you drive with a broken head gasket? The answer is no. the head gasket keeps liquids in their proper places, but when the engine head gasket broken, liquids are free to cross into unwelcome territories. Coolant gets into the oil line, and gases leak out of their combustion chambers, creating such high pressures inside the engine of your car, that it starts to crack and leak! If your engine’s temperature gauge is constantly in the “hot” area instead of on the cooler side or right in the middle, your car is on the verge of overheating. Your car may already be overheating every day, but not enough to wear there are large plumes of smoke coming out from your hood. If you notice white smoke coming out f your exhaust, this is a serious clue that your head gasket could have been blown off! Don’t avoid this problem just because the smoke smells sweet or it’s only water dripping from the exhaust. This is a sign you need major head gasket repair, and quickly, as you are breathing in dangerous gases and emissions. Your engine gets extremely hot running at high speeds and having to control so many things in your car. Coolant is needed to help lubricate and cool the engine down to prevent it from overheating and dying. 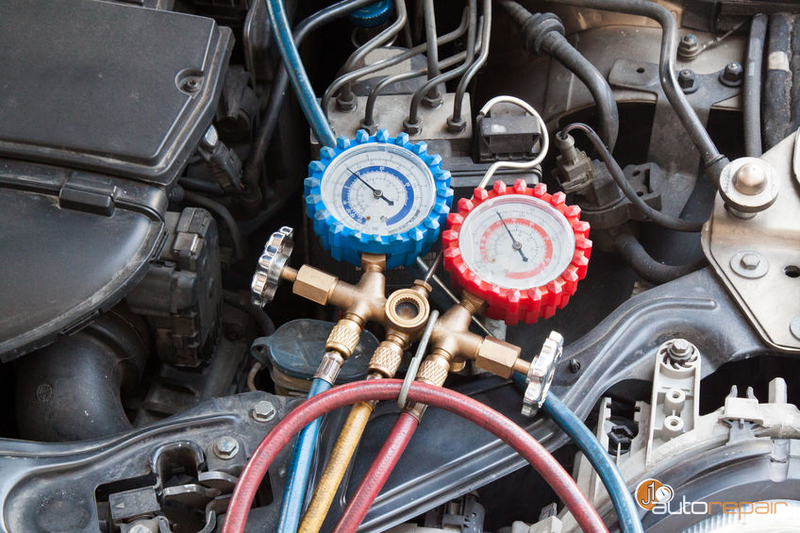 If you notice that your car is constantly running out of coolant, there could be a leak in your coolant system where the coolant is going into the oil pan where it shouldn’t be. 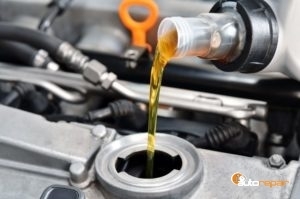 Just like coolant, oil helps keep your engine and other parts in the car lubricated and cool. Check the oil dipstick, and if there is a frothy residue, coolant is mixing with your oil due to a leak caused by a broken head gasket. Why Repair a Head Gasket? It is important to repair your blown head gasket in order to prevent complete engine failure. A small repair like a engine head gasket fix is much more affordable then an entire engine rebuilding or having to buy a whole new car! A cost effective solution to repairing a blown head gasket is by using head gasket sealant. This liquid is poured into the radiator cap and travels through your coolant system until it finds the leaky hole where the head gasket burst. There the head gasket sealant coagulates and seals the leak in under 30 minutes so your car is safe to drive again! Will head gasket sealer work? This type of repair will only work if the blown head gasket requires minimal repairs without the use of heavy mechanical work. If your head gasket is completely missing or ruined, then replacement is the only other option. Can you prevent a blown head gasket? There are a couple of ways, including using head gasket sealer. The others include proper installation and being able to identify the causes of a blown head gasket and getting repairs quickly before the problem exacerbates. For repair or replacement of a blown head gasket in Lombard and Wheaton, IL, call J1 Auto Repair at 630-932-4427 today. Posted in Uncategorized on October 19, 2018 by J1 Auto Repair. Synthetic Oil Can Help Your Vehicle’s Performance In The Long Run. Oil is very important to your engine. It keeps all of the different parts lubricated, allowing them to move easily during the processes of combustion. That is why oil changes are so important for your vehicle. When you go in for your oil change, your technician may ask you if you want synthetic oil or regular conventional oil for your engine. Many of us have seen regular conventional oil, but you may be unsure as to the origin or need for synthetic. Synthetic is actually a man-made oil alternative that lubricates your engine equally as well as conventional. 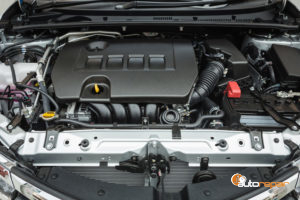 Many are quick to dismiss synthetic and stick with regular oil, however, there are some advantages you should consider about synthetic oil before deciding its not for your car. Is Synthetic Oil Better Than Conventional Motor Oil? While synthetic oil may not be for everyone, it provides quality benefits that can improve many vehicles performance. Want more information on synthetic oil? J1 Auto Repair is your source for total auto care in Lombard and Wheaton, IL. We are always available to get started on your auto repair. Call us today at (630) 932-4427 for an oil change! Posted in Uncategorized on September 14, 2018 by J1 Auto Repair. Return Power To Your Engine With Tune Up Service. While a car is very important for daily life, many people forgo services that could keep it at its best, simply handling required services such as oil changes or getting it serviced when there is an apparent issue. However, failing to service your car can leave it open to many future problems, as daily use will inevitably take its toll. One service can actually prevent these issues while restoring power to your vehicle and its engine. This service includes assessing and restoring many aspects of your vehicle all at once to get it back to its best. Depending on the age of your vehicle, it can be completed anywhere from every 30,000 miles to two years. What Does a Tune Up Service Do to Your Car? Filters: We replace your air, oil, and fuel filters to restore power to your engine and keep it running smoothly. Electric Components: This service replaces and inspects spark plugs, battery, and other electric areas of your engine for optimal ignition. 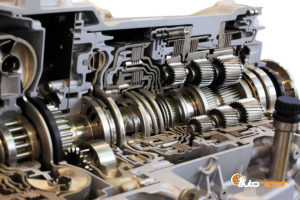 Transmission: Prevent transmission repair needs with clutch adjustment and transmission inspection. Engine Inspection: Your engine is inspected thoroughly, from belts, valves, timing and how it is running. If you are interested in getting a tune up for your vehicle in Lombard, IL, look no further than the expert team at J1 Auto Repair. Our technicians are licensed experts who provide thorough inspection and repair to keep your car road ready. We are always available to get started on your service needs. Give us a call today at (630) 932-4427! Posted in Uncategorized on August 13, 2018 by J1 Auto Repair. A lot of people have heard the terms “hybrid car” and “Prius,” but don’t know exactly what it means. What is the huge craze with hybrid cars? Why are they so beneficial, but so expensive? But most importantly, how do they work? A Hybrid Car Saves the Planet and Saves You Gas Money! Hybrid cars use a combination of 2 motors to power the car-an electric battery motor and the standard gas engine. When pulling away from a stop, the electric motor powers the car, using energy from the battery at speeds up to 15 mph. Any cruising speed over that is used by the gasoline engine that normal cars use. While it may not seem like much of a difference, when you consider traffic, stop signs and red lights, the battery power from a hybrid car can save you hundreds of dollars each year on gas money not being wasted in stop-and-go movements. Depending on the type of hybrid car you get, you could save up to 30 miles per gallon. Some hybrid cars have rechargeable batteries and have a plug that has to be connected to specific outposts to recharge. These are not quite as popular since the invention of newer models that combine electricity and gas, or natural gas and propane. If you have ever been to an IKEA, they have plug-in stations for the rechargeable electric cars. 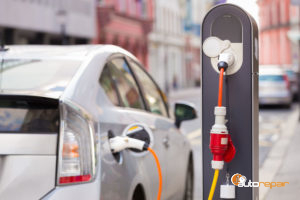 Whether you are looking to save money or save the planet by lowering greenhouse gases emitted from your gas-guzzling car, hybrid cars are advantageous. If you need hybrid car battery repair or replacement in LombardLombard and Wheaton, IL, call J1 Auto Repair at (630) 932-4427 today. Posted in Uncategorized on July 10, 2018 by J1 Auto Repair. The temperatures are just now getting hotter outside, which means it’s important that your car’s air conditioner is working efficiently. However, without proper maintenance, our car’s AC cannot work correctly or at all. If you think you need AC repair for your car, but aren’t sure, keeping reading below to learn about the signs of car air conditioner repair. Unsure If You Need AC Repair for Your Car? Find Out Common Signs for Air Conditioner Repair Service. You turn on your car and crank the AC, but there is no air coming from your vents. Something could be wrong with your AC’s fan or the actual switch to control the air conditioner could be broken. You are excited to get in your car and turn on the air conditioner only to find out that warm air is blowing from the vents. This will definitely require AC repair because no one wants to be stuck with a car air conditioner that doesn’t blow cold air. The most common fix would be to recharge your refrigerant. The only sound should be coming from your AC vents is the sound of air blowing out. Unfortunately, there will be times when rattling or banging. There might be a problem with the AC’s condenser or there could be something stuck in the blower motor, either way, it’s important to have it checked out immediately. 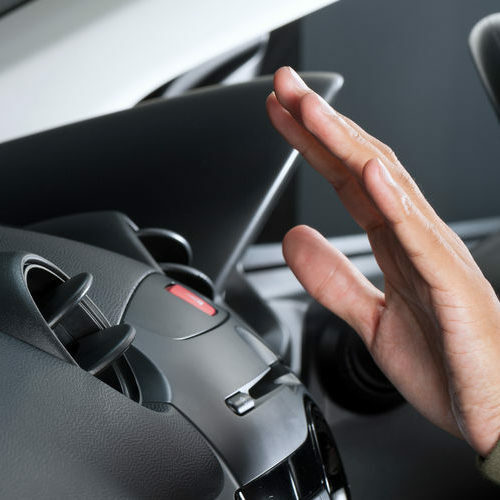 As with sounds coming from your air conditioner vent, you shouldn’t be able to smell anything when the air is blowing in your car. If you smell something sweet it means there is a coolant leak and if there is a musty smell, there could be mold in the actual AC. If you need air conditioning repair in Lombard, IL, call J1 Auto Repair today at (630) 932-4427. Posted in Uncategorized on June 7, 2018 by J1 Auto Repair. Your car’s brakes are crucial to your safety. When they begin to age or wear, your vehicle could swerve, shake, or even not stop. However, these tips can help ensure your brake system is always in tip-top condition. Ensure Your Brakes Are in Flawless Condition for Optimal Vehicle Safety. Your brake pads are the metal clamp-type constructs that actually stop yo9ur vehicle, and attach to the rotor. When your brake pads begin to wear, they will reduce in size and may begin to squeak, telling you they need to be replaced. This part of your brake system fits just behind the wheel. The rotor is what stops your vehicle from moving as the brake pad rubs against it. 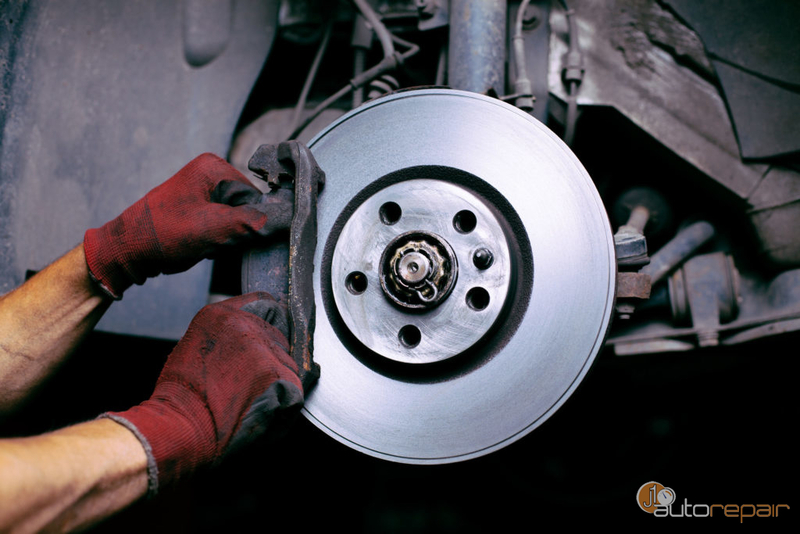 Worn rotors will prevent a vehicle from stopping and can cause brake fluid leaks. They will begin to show divots in the metal as they begin to wear, showing where the brake pad has rubbed. While these little clamps may not seem important, they actually hold the whole system together. The calipers fit over the brake pad on one side and the rotor on the other to clamp the two pieces together. Calipers should not be able to be moved when in place. If you can move your caliper without removing the brake pad, you may need a replacement. Keeping your vehicle’s brake system in check is vital to the smooth operation of the car. Let the experts at J1 Auto Repair help ensure your brakes are always in tip-top condition by calling our expert technicians at 630-932-4427. Posted in Uncategorized on May 2, 2018 by J1 Auto Repair. 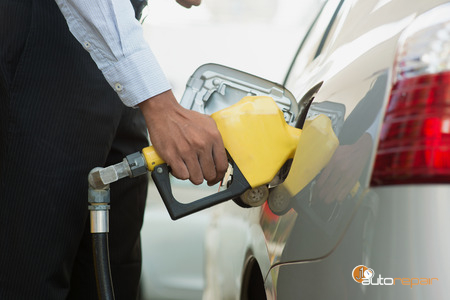 Save Money at the Gas Station By Improving Your Gas Mileage. Keep an eye on the tire pressure! It is important that your tires stay properly inflated for better traction on the road and to keep your car running properly. Low tire pressure can affect how well the engine runs; the lower it is the more work the engine has to do to get the vehicle down the road. Watch your speed. Making sure you are following the legal speed limits will not only keep you safer and prevents you from getting ticketed but also helps to ensure your car is using gas more efficiently. Sudden starts and driving above highway speeds will drain the has much faster and cost you more at the pump. Make sure your car is in top shape too! Taking your car in for regular maintenance and inspections are good habits to have. They are also great ways to ensure that your car is running smoothly and you aren’t losing gas mileage due to any issues that may have gone unnoticed. If you need car maintenance in the Lombard, IL area, contact J1 Auto Repair today! Our technicians can do a thorough check of your vehicle and perform any needed maintenance such as an oil change or tire rotations. Schedule your appointment by calling (630) 932-4427. Posted in Uncategorized on March 30, 2018 by J1 Auto Repair.